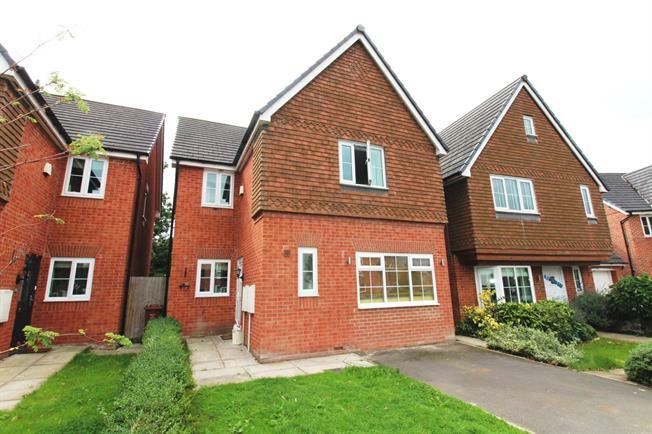 4 Bedroom Detached House For Sale in Manchester for Offers Over £320,000. In brief the accommodation comprises of entrance hall, three reception rooms - one set up as an office, the other a playroom and the other a large open plan living and dining area fitted with velux window features, modern large fitted kitchen with appliances, downstairs WC, four good sized bedrooms, ensuite and family bathroom. Externally the property benefits from a driveway, and good sized rear enclosed back garden - astro turf feature.